For those who want to have a successful business on the internet, managing keywords is one of the most important things of SEO. Looking back to the beginnings of the internet age, Google search engines were not as complex as today. The algorithms were clearer and simpler and it was easier to know how to get to the top of the search results: use the keywords relating to your business as much as possible. The algorithms have evolved and now the search engines, the crawlers, have become much more sophisticated. They are looking at more than just finding the same keywords a hundred times in a 600 word content on a page. Keywords are still very important but the context in which those keywords are being used has become part of the search algorithms as well. Not only that, but the way in which keywords are used is not to be disregarded by content writers. Search engines are able to identify words that are synonyms with the established keywords on the page and will rank well pages that use a wider range of well chosen words describing a service. 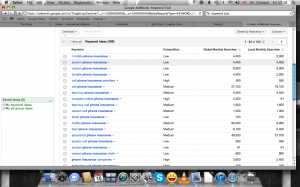 For the better use of keywords on the page, Google has created the AdWords tool. 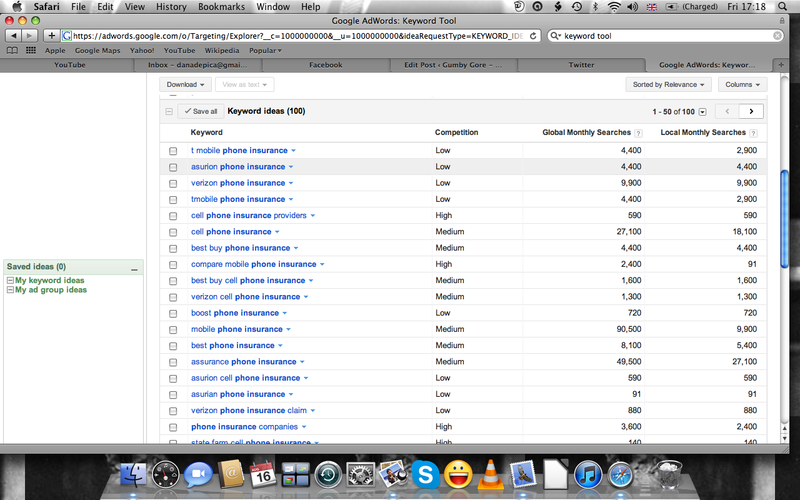 It helps businesses to learn which keywords and keyword combinations are looked for the most by potential customers. Thus they know what combination of words they should use on their page to go up in the search result hierarchy. Let’s take a practical example. 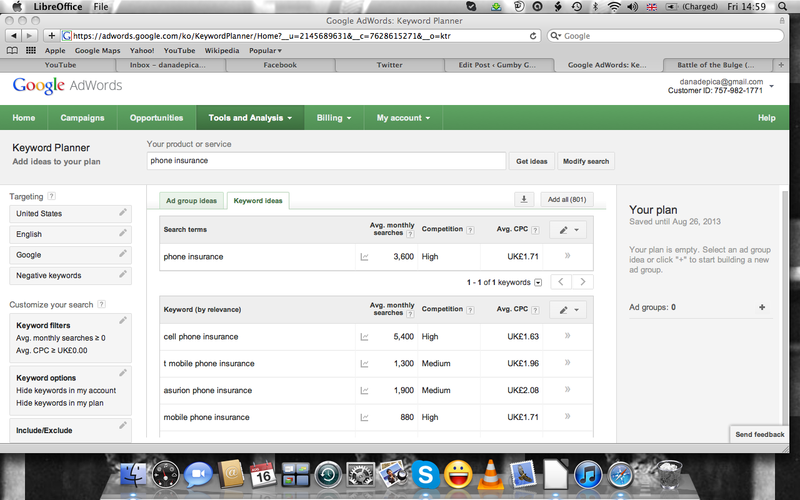 Using Google Adwords, someone who is in the business of selling phone insurance can check what are the most popular searches, what are the average monthly searches on those particular keywords on a 12 month period and even the average cost per click, which helps create an advertising plans for one’s business. The Keyword tool by Google AdWords is showing in even more detail the habits of web users and acts as an inspiration of writers. 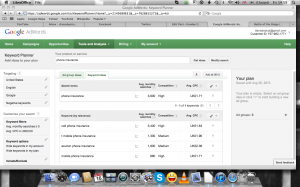 Using the same example of the “phone insurance” keyword search, one can discover multiple combinations of words and improve on their website content. For instance, many web users are looking for “cheap phone insurance”, “mobile phone insurance” and most often than not they specify the type of phone they are looking insurance for. This gives writers ideas on how to mix up their keywords with their content for great Google search engine rankings. Keywords are not the only factor that one has to take into account in order to have a successful business online and rank well on Google search engines. A website creator has to consider other things such as content, design, meta descriptions, links and their anchor text. These are of course made up of carefully chosen words, which should be derived from the main keywords on the page. Links from well established websites are useful in supporting a page by directing its customers to it. Social media is a very useful and important tool used to advertise one’s job and to get as many websites to link to their page. Social media websites like Facebook, Twitter, Pinterest, Google+, LinkedIn to name a few, are helpful in creating contacts and generating these supportive links. Google algorithms are only known by Google operators. SEO experts can only guess how information on the web page is fed to the Google search engines, but continuous research is made on the subject, just as continuous updates and improvements are made on anything that has to do with technology every day. This leads to continuously improved SEO strategies of online marketing and to strongly built websites.